As part of Kew Gardens Christmas lighting event local Brighton company Ithaca Audio took control of 11 holly bushes for a large sound and light install. 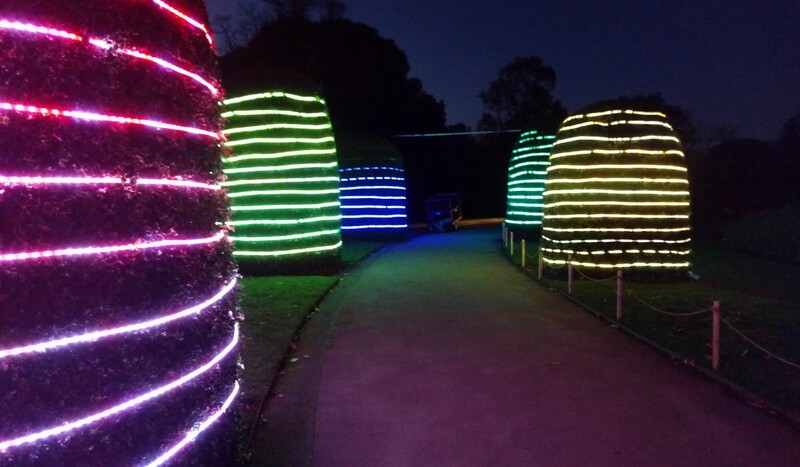 For the lighting each of the 11 bushes was to be wrapped in 100m of RGB led tape totaling 1.1km of lighting. For the lighting they reached out to me to develop the software to control the lights and allow them to react to the music. The final solution was based on the Arduino environment but made use of the highly capable Teensy 3.1, it accepted an analogue audio input and then controlled various parameters of the lighting effect.